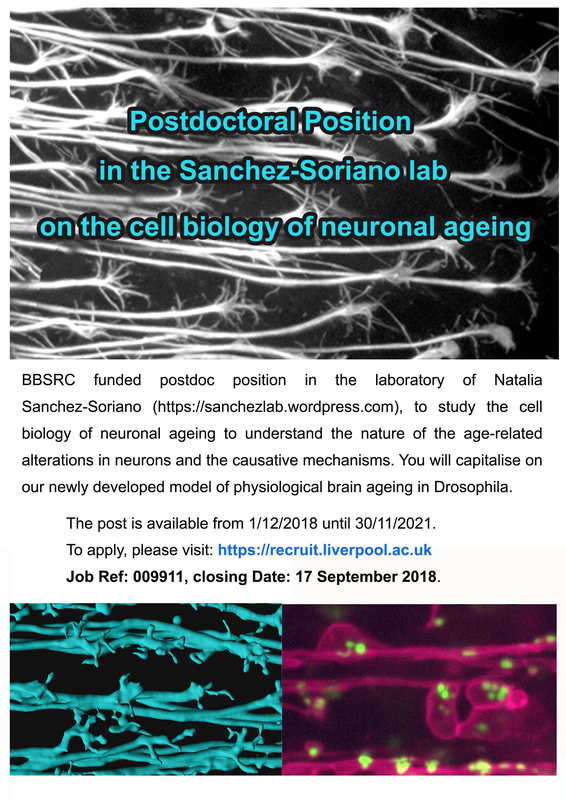 BSRC funded postdoc position in the laboratory of Natalia Sanchez-Soriano (https://sanchezlab.wordpress.com), to study the cell biology of neuronal ageing to understand the nature of the age-related alterations in neurons and the causative mechanisms. You will capitalise on our newly developed model of physiological brain ageing in Drosophila. The post is available from 1/12/2018 until 30/11/2021. To apply, please visit: https://recruit.liverpool.ac.uk    ob Ref: 009911, closing Date: 17 September 2018.